Discounted due to slight mottling in the Bakelite. This has been totally stripped down and rebuilt after each part has been cleaned and polished. 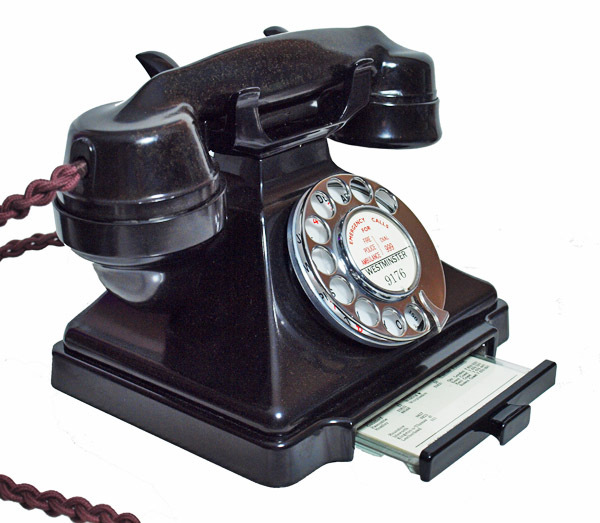 The handset is dated 1946 and it has a GPO No12 alpha numeric dial face. 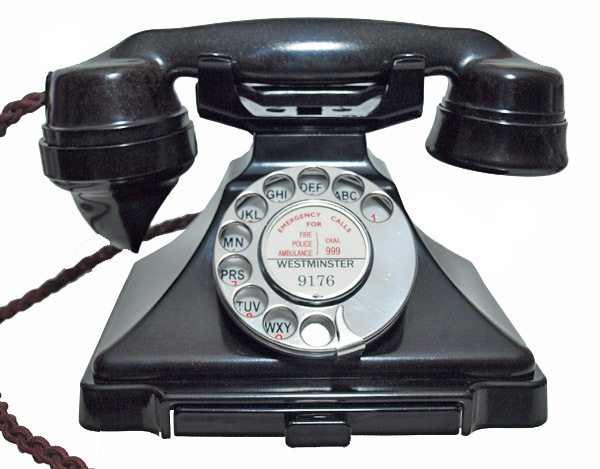 It has been fitted with a very best quality all British manufactured hand plaited braided handset cord, a GPO specification round plastic line in cord and a best quality electronic microphone to enable perfect speech quality. This model was designed to be fitted to a GPO No 26 bell set and so had no internal bell. I have fitted a small bell inside that give a very pleasant ring but not very loud. Ideal for a bedroom or in a sitting room. 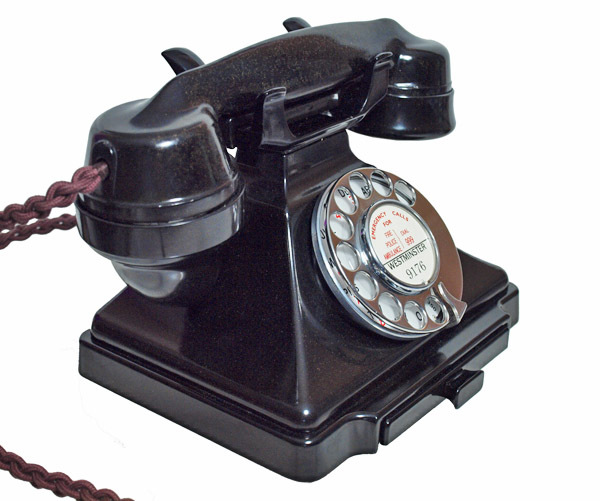 This one has some mottling in the Bakelite to both the the handset and body but has been restored to the usual high standard and has a nice polished finish. 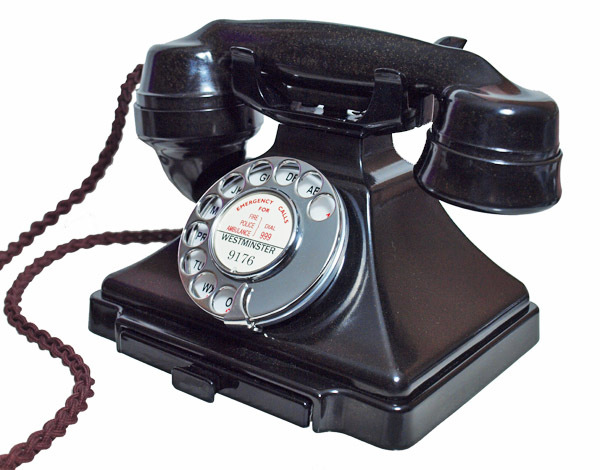 If your looking for a telephone that looks to have some age but still restored inside and out and is a little cheaper than this is for you. I can fit a dial label with your information at no extra charge.